The Iranian Revolutionary Guards are mad at Trump. States that sponsor terrorism risk falling victim to the evil they promote. The deputy head of Iran’s Revolutionary Guards promised retaliation on Islamic State – the militant group that claimed responsibility – and its allies. “Let there be no doubt that we will take revenge for today’s attacks in Tehran, on terrorists, their affiliates and their supporters,” Brigadier General Hossein Salami was quoted as saying by state media. They blame Riyadh â€“ but also Trump. “This terrorist attack happened only a week after the meeting between the U.S. president (Donald Trump) and the (Saudi) backward leaders who support terrorists. The fact that Islamic State has claimed responsibility proves that they were involved in the brutal attack,” a Guards statement said. The conspiracy theory would normally be unbelievable but with Trump you never know. â€œGo ahead, take the ayatollahs down a pegâ€? You also need to believe that Saudi responsibility for ISIS goes beyond the general toxic programme of funding Wahhabi and Salafist preachers all over the place to operational links to ISIS. Since al-Baghdadi’s modest programme includes exterminating the Saudi monarchy along with Iran’s apostate ayatollahs, this does not seem likely. The Pasdaran is a complete parallel ideological military, with land, naval, air and missile units. The nearest analogy would be Himmler’s Waffen SS late in the Second World War, or Stalin’s NKVD troops. Its total strength is said to be 125,000, plus a 90,000 strong militia of probably limited military value. Still the Pasdaran has real aggressive capabilities in its 5,000 Marines and a similar number in the special ops Quds Force. If they choose to go after Trump personally, they can. We can cross fingers that cooler heads will prevent an assassination or kidnap attempt, which would probably spark a full-grown war that Iran cannot afford. But there are plenty of lesser ways of damaging Trump personally that do not affect vital US interests. How hard can it be for a saboteur to to make a hotel unlettable, with food poisoning or rats? Or to wreck a golf course with a couple of jerrycans of gasoline and Roundup? 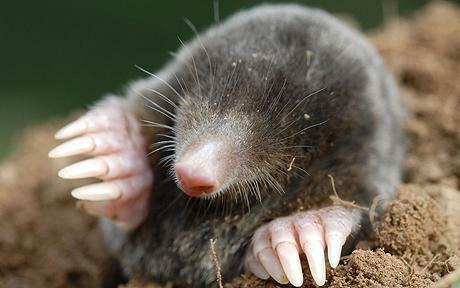 A more elegant way would be to hire delinquent boys to release hundreds of moles on the greens. The joke is no doubt rather too Cambridge.